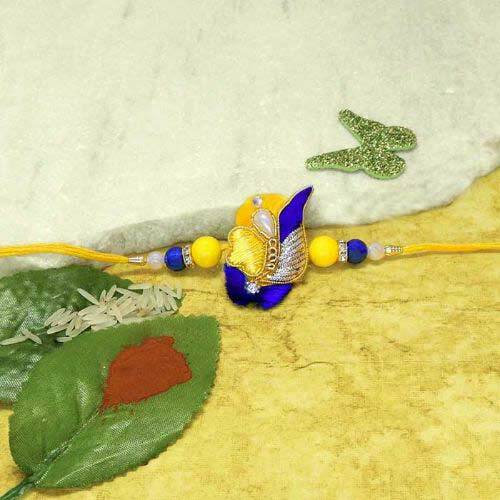 Celebrate this Raksha bandhan with fun and fervour by sending this alluring rakhi from our exclusive rakhi range. 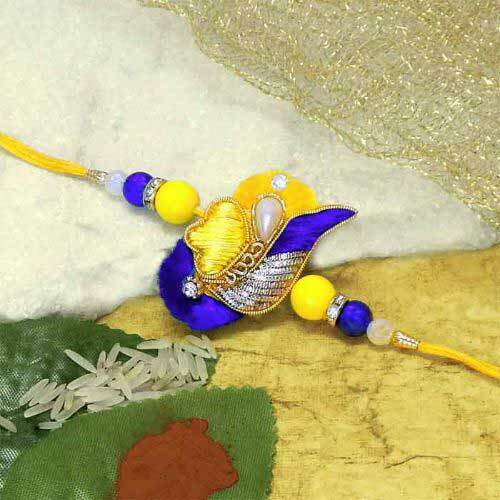 This rakhi is intruded with fine thread and zarosi work. With a cut work of thread at the back accompanied by crystals on it..